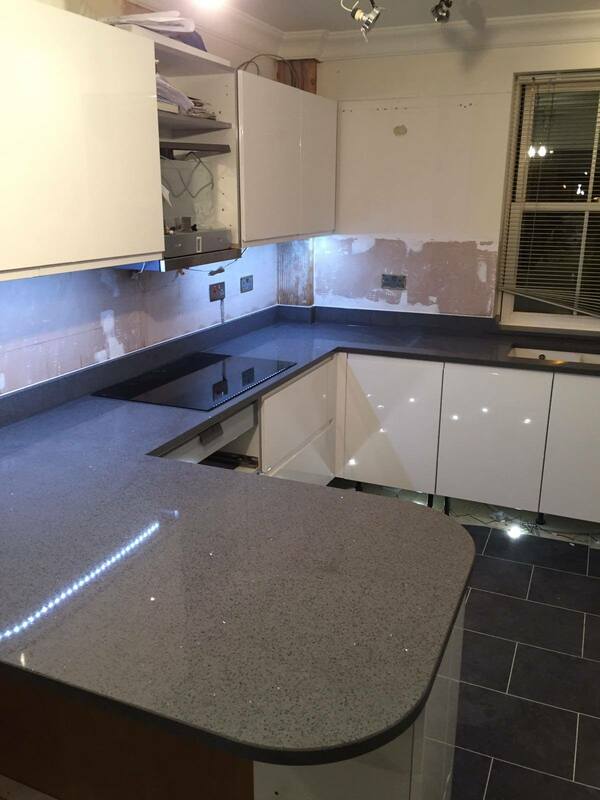 Grey Quartz Worktops are a neutral and clean worktop colour, suitable for any kitchen style or colour scheme. 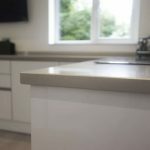 Keep reading to find out more. 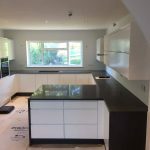 So why is Grey Quartz so popular? 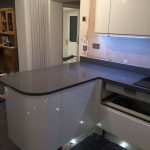 Grey Quartz has really taken off in the last 5 years or so. 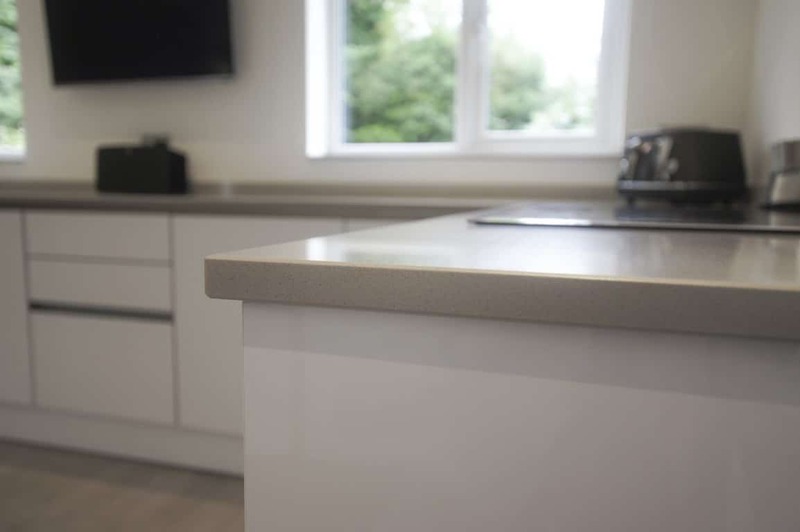 We have seen a steady increase in the number of people looking for a grey kitchen worktop to compliment their kitchen. 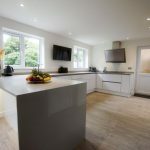 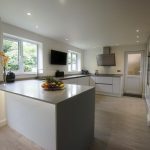 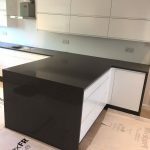 There are a multitude of various worktop materials including, wood, laminate and acrylic but we think Quartz is the only way to go if you want a great looking grey worktop that will last a lifetime. 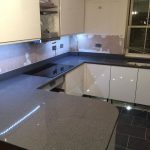 Grey Quartz is easy to look after and keep clean, it’s properties are much like the White Quartz in that any spillages can be wiped up with no issue. 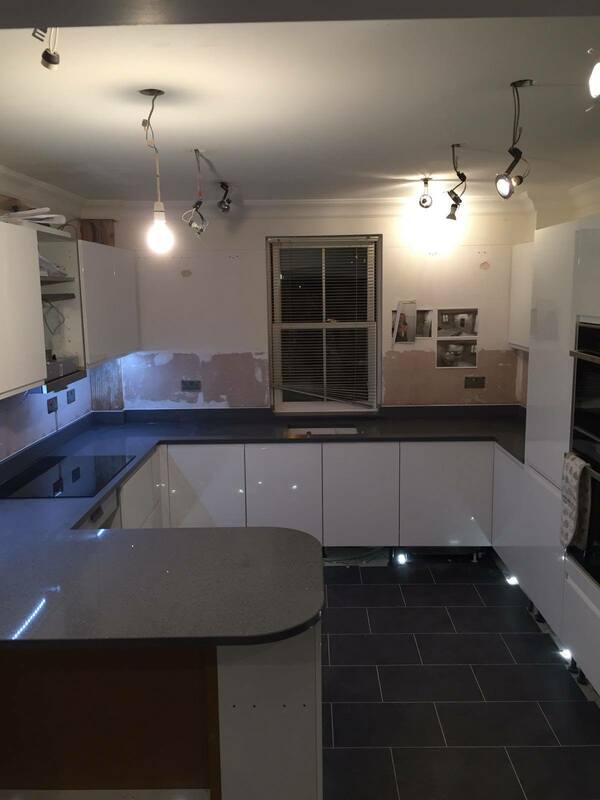 Finger and hand marks are not as visible on the lighter greys as they are on darker greys. 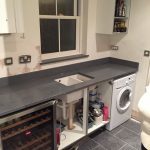 So this is a great alternative to a Black Quartz if you are worried about smudging or smearing. 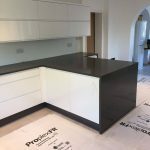 What Grey Quartz do we stock? 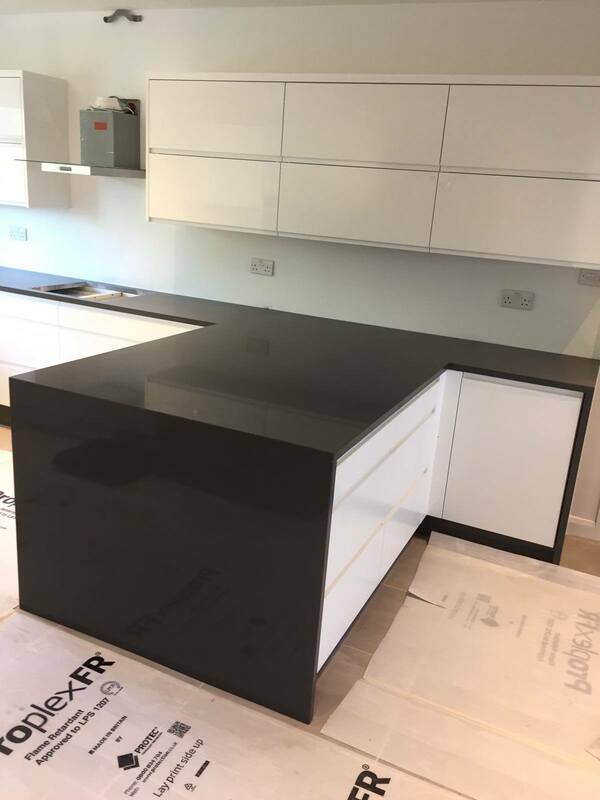 We hold in stock currently over 1000 slabs of Urban Quartz which is the main Quartz brand we supply as the product is superior in finish and quality to many of the top brands plus can be purchased at a fraction of the cost for our customers. 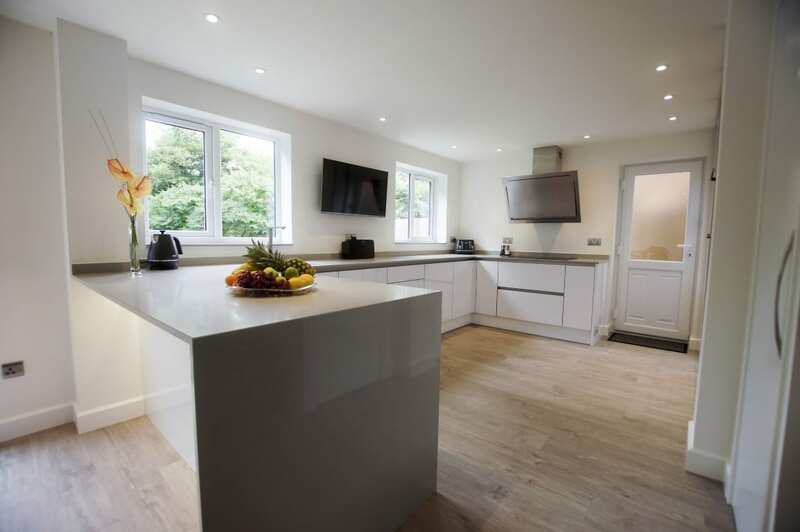 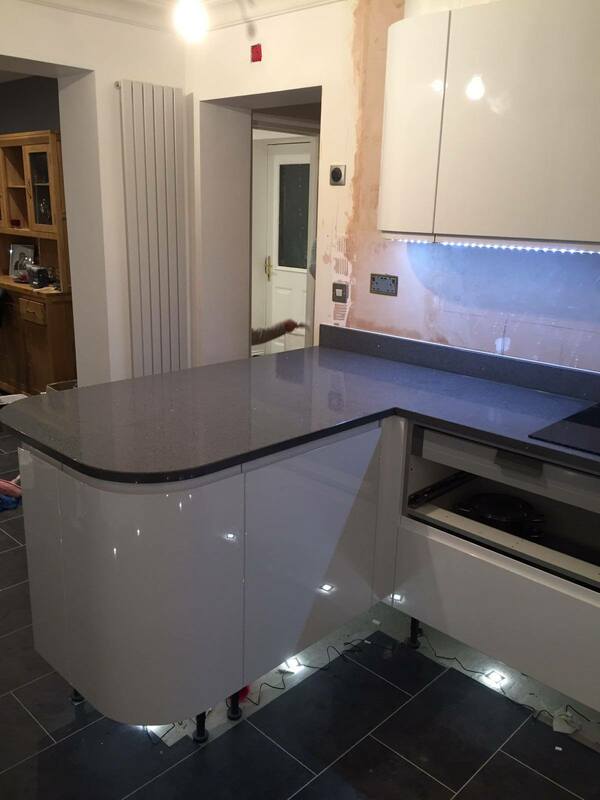 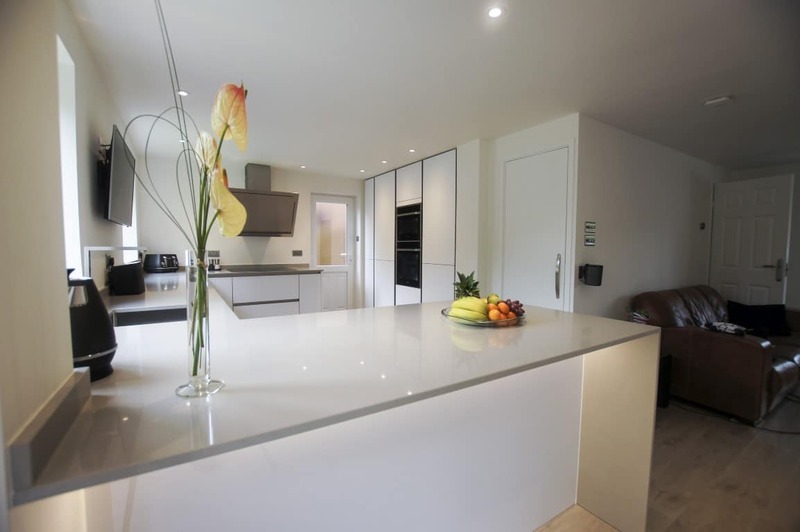 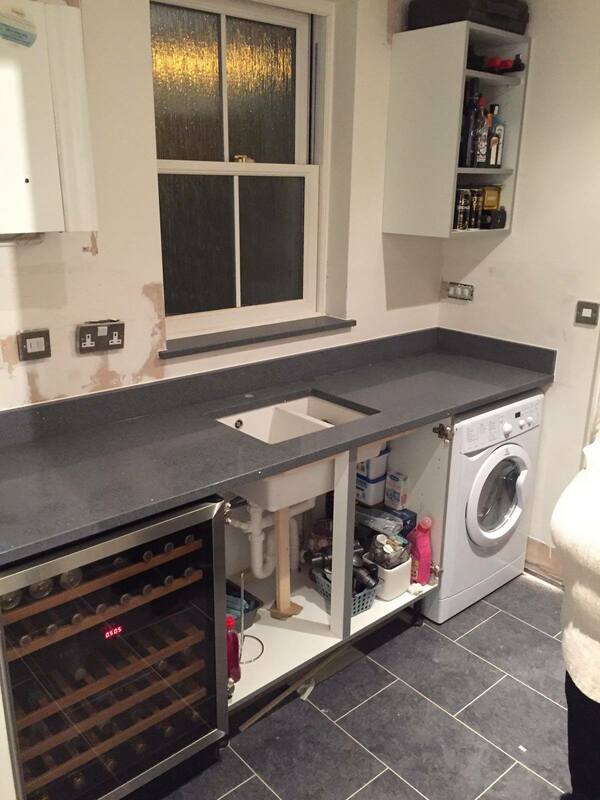 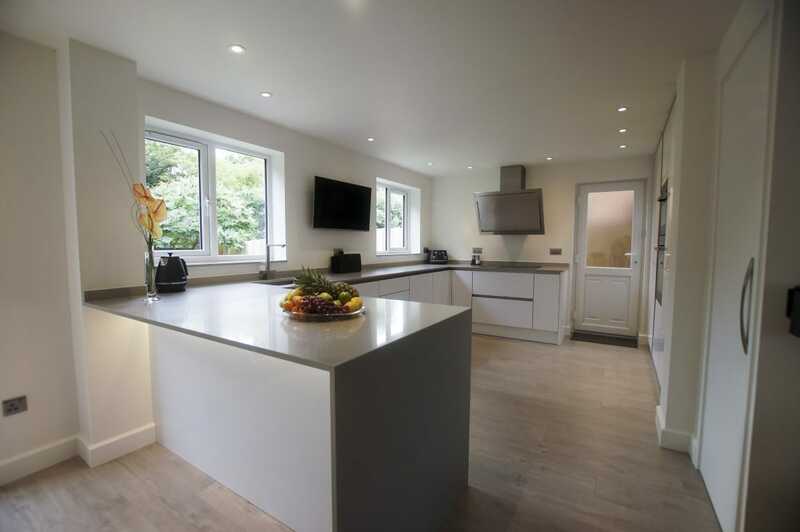 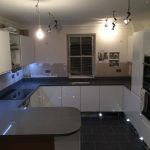 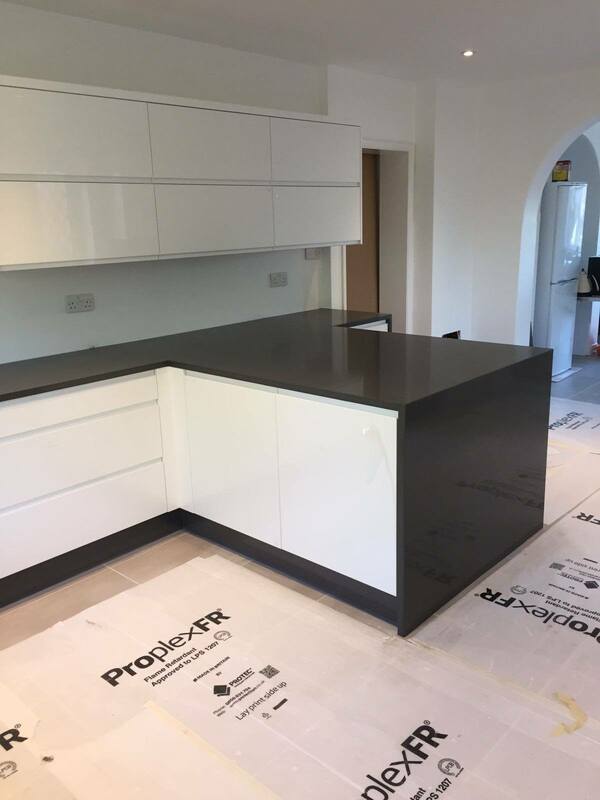 With regards to some Grey quartz options we would recommend Grigio De Lusso which is a medium grey Quartz with small mirror flecks throughout – it looks fantastic and we have some examples of installations below. 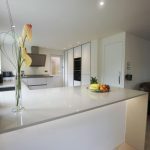 Or maybe you are looking for a pure grey with no fleck, take a look at Grigio Chiaro Pura which is a light grey quartz. 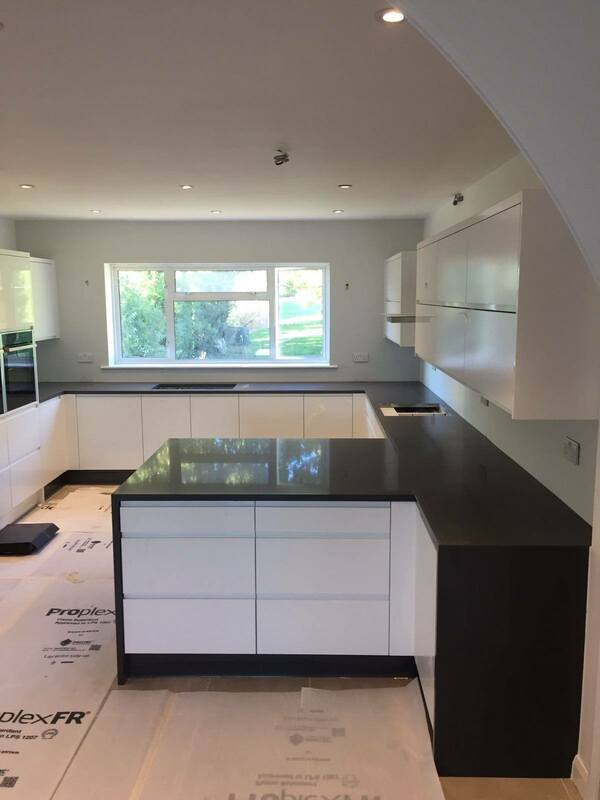 What does Grey look like installed?